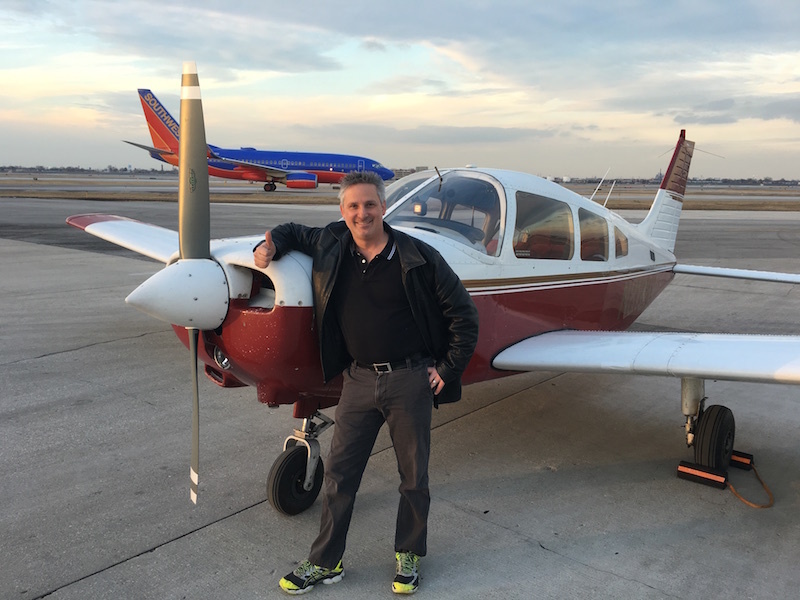 Today Steve Murphy of Valparaiso, IN successfully completed his IFR checkride. He’s seen here on a celebratory flight to Midway Airport. Steve can’t wait to take advantage of the versatility offered by being able to safely fly in less than ideal weather conditions. Thanks to his CFI’s Brad and Mike.